Take your kitchen to the next level with the CAE York Single Lever Kitchen Faucet with Swivel Spout. These kitchen faucets are available with a chrome or brushed nickel finish. Made with a swivel spout, these faucets are ultra easy to use. These high-quality faucets are manufactured by CAE, the best in the business. Looking for the ultimate kitchen faucet for your home improvement project? Look no further than Fiberpol. 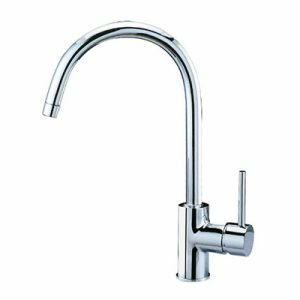 We offer the best faucets by CAE, and the York Single Lever Kitchen Faucet with Swivel Spout is no exception. This faucet will work with any kitchen design, and it’s available in either a chrome finish or a brushed nickel finish. Not only is this kitchen faucet stylish, its swivel spout makes clean-up easy.